Infrequent writings on the more technical aspects of search engine optimization. Aimed towards the more intermediate and advanced online marketeer. The first plugin I install on all my WordPress blogs is Yoast SEO. It’s one of my favorite plugins and frankly indispensable because it automatically generates a beautiful XML Sitemap, takes care of your canonical tags and allows you to configure you titles and meta descriptions. But hands down my favorite feature is the live Snippet preview. 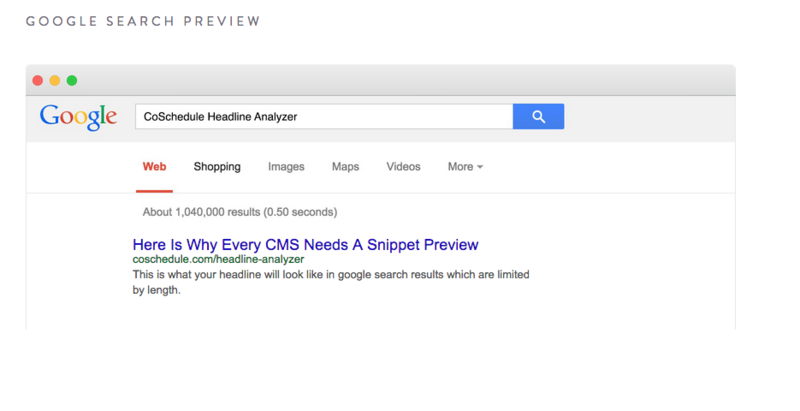 Here’s why every CMS needs a snippet preview like the one in Yoast SEO. Lets say you manage SEO for an Ecommerce client and you’ve done all you can to optimize the product pages. You set up rich snippets, optimized the default template of the title tag and interlinked products to build some solid internal links. You added some great custom titles and meta descriptions for the most important products. The trouble comes with scalability: you can’t give all products the same amount of attention and new products are being added all the time! By adding a snippet preview in your CMS you can tackle this problem because you get everybody who works on content involved in optimizing a page (or product) for SEO. Unlike a standard input field this preview instantly reminds people of Google and the importance of SEO. A basic snippet preview (Source: Horlogebanden Specialist CMS). This product still has the default automatically generated content. The preview encourages customization. Besides being a constant reminder of SEO a tool like this can help you make your search results eye-catching. If you hate seeing ellipsis ( … ) in your meta description and want everything to fit perfectly you can encourage a min- and maximum length by showing a progress bar. You can even bold keywords you want to rank for really — you can go as advanced as you want. CoSchedule’s Headline Analyzer shows you how a headline would look like in Google search. Go on, give this a try. It’s a relatively small improvement that can work wonders! Theoretically ecommerce image SEO is not very difficult: your images need to be high quality, need descriptive file names and contain alt tags but in practice this can be very difficult if your store has thousands of products with multiple images. Is it worth it to add unique and high quality alt tags to all your images? You can probably find a better way to spend your time. Yet you want to avoid situations where your product images all have too generic (or no) alt tags. The Solution? Tag your images. Tagging your images is the ideal combination of quick and effective. Here is what you do: when uploading new product images you tag your images based on what kind of photo it is: is it a photo of the front view of the product? Is it a close-up product shot or just the back side of the box? This can simply be a implemented with a dropdown menu in your CMS. 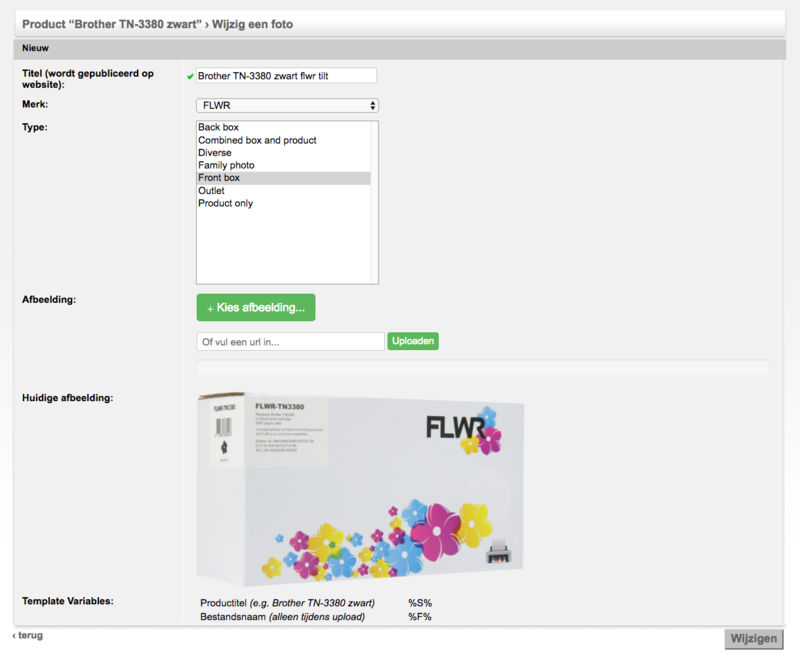 The upload screen of Inktweb.nl contains multiple image types. Depending on your products you can describe your image types in roughly 5 types. You don’t need a SEO copy writing training to be able to use this. Anyone from the intern to the content manager can easily select on of these options when uploading a new image. It’s straight forward and takes minimal amount of time. Now that you have this data, how do you use it? Combine this data, the “type”, with your current product name (or “title”) as a fallback if no custom alt tag is given. It’s a simple as that. This method is especially effective if you have multiple product images. Sure, not as great as custom alt tags for all your photos but considerably better than nothing or something generic like “[title] photo 1”. Why do I recommend this method?